How It’s New York: The show Out of Ireland is a local, WLIW show, and OurLand will take place at Lincoln Center Out of Doors on July 29. How It’s Irish: OurLand is an all-day celebration of Irish culture: and it’s free! The indefatigable Anita Daly, one of the most rocking, funniest, and efficient promoters in town, told us that tomorrow at 11:30 a.m. and again on Monday at 11:30 p.m. the WLIW show Out of Ireland will preview OurLand. Out of Ireland is also syndiacted nationally on PBS, so check OutofIrelandtv.com for local listings. Sadly, they don’t seem to stay up-do-date on their archives. I’ve been asking for the show with Catskills Irish Arts Week for a solid year, since mythically I was visible in Matt Cranitch’s class, and I actually was interviewed at Other Voices. So check the listings and set your DVR to record! It will be a day-long celebration of music, poetry, literature, theatre, dance and more. The cast of Once, some of whom were also at the Glen Hansard concert I just reviewed, will be performing as well. Once just wone eight Tony Awards, including Best Musical. 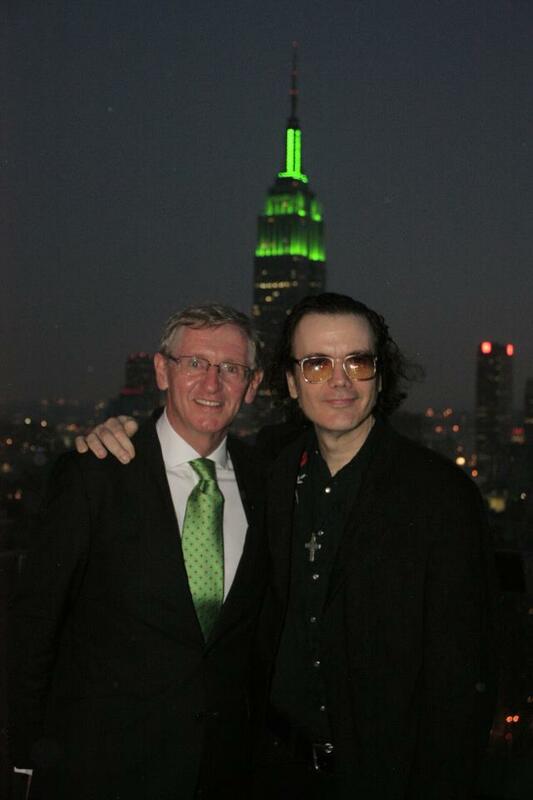 It is an event hosted by Artistic Director Joe Hurley, presented in association with The Consulate General of Ireland. There was a party for this event this past Thursday, at the Residence, where Noel Kilkenny and his lovely wife Hanora live. If you ever get a chance to go to one of these parties GO: the penthouse overlooks the East River on one side, the Chrysler building and the Empire State on the other. At the party which I attended with Books Editor Michelle Woods, I spotted Irish Arts Center’s Aidan Connolly and Pauline Turley, actor Patrick Fitzgerald, Irish Examiner’s Paddy McCarthy and Grahame Curtis, Alphie McCourt, the New York Rose of Tralee Anne-Marie Lynch and many more. It’s a good bet we’ll all show up on the 29th because it promises to be an unforgettable event! On Sunday July 29th, for the first time in NYC, Lincoln Center Out of Doors will present a day long, multifaceted festival of Irish culture. Our Land will celebrate the artistic, literary and musical heritage of Ireland, the mark it made on America and the continuing cross-cultural ties that bind the two countries. 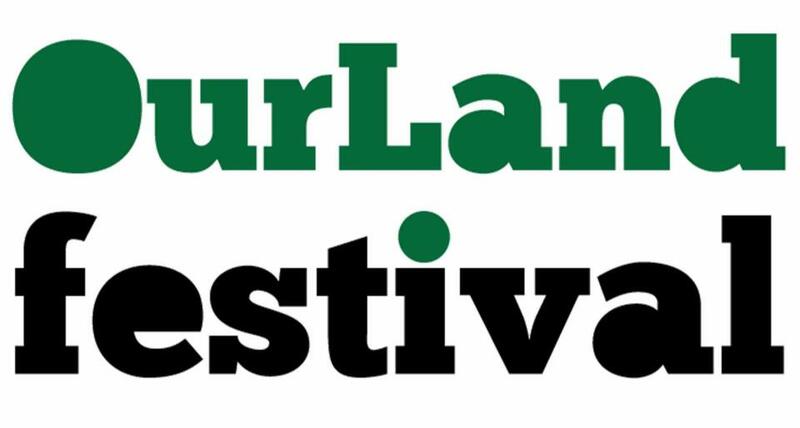 An all-day (2 pm–10 pm) extravaganza of music, spoken word, and traditional arts, OurLand will explore how the Irish helped to build NYC, with ‘Nothing But Their Genius’, while shining a light on Irish and Irish-Americans continuing contribution to the American Songbook and culture. Featuring stars of pop, rock, punk, folk, theater , film, literature, and more, OurLand takes place at multiple spaces on the Lincoln Center campus, culminating in Damrosch Park with the All Star Irish Rock Revue! 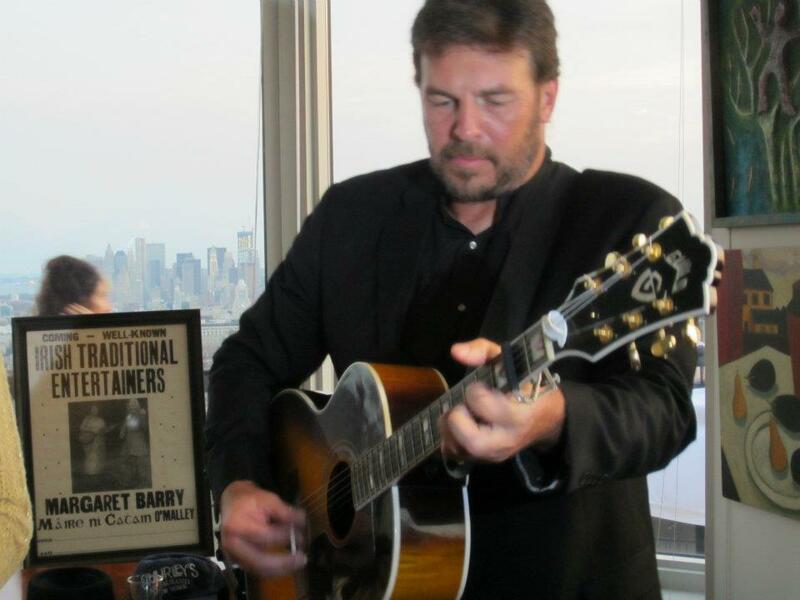 OurLand is an outgrowth of the annual All-Star Irish Rock Revue Charity Concerts that Hurley has held at sold-out venues around New York, since 1999. More info on the event below! Commencing with introductions by Irish Consul General Noel Kilkenny, and Artistic Director Joe Hurley, OurLand will move through the fair and into the night with song, dance, poets, authors, artists, street performers, exhibits, book and CD signings. Weaving the art of storytelling with original works and classics, Irish-American culture in verse and song. The performers include Oscar winning Director Terry George (Hotel Rwanda), Actors Cara Seymour (Gangs of New York), Angelica Page (Sixth Sense), Geraldine Hughes (Belfast Blues), Barbara Feldon and Aedin Moloney, Malachy McCourt, Alfie McCourt, Best-Selling Novelists Peter Quinn, Tom Kelly, John Swenson, Thomas Bahler, and Mike Farragher, Musicians Cherish the Ladies, Kirk Kelly, Niamh Hyland, New Orleans Fiddler Gina Forsyth, Celtic Tenor David O’Leary; Poetry and A cappella singing from the WB Yeats Society of NY, Gerard McNamee, The NY Rose Of Tralee Anne-Marie Lynch, Salina Mailer, Faith Hahn, and more in a wildly eclectic and interactive parade of The Jewels of Ireland’s Bards. Josie Robertson Plaza is re-christened “The Auld Triangle” for the audience to take a wild, magical stroll on Raglan Road with buskers, poets, painters, and dancers that will stir your soul. Immediately following – A Parting Glass: Celebrating the legendary Alan Lomax’s work preserving Ireland’s Musical Heritage. Alan Lomax’s extensive recordings in Ireland are a shared musical treasure. They will be honored with Round Robin-style Irish-Americana performances led by Lomax archive director Don Fleming, Cherish the Ladies, Lianne Smith, Marni Rice, and very special friends. Complete with the original two-track recorder onstage that Lomax used to capture these historical Irish recordings! At 7:00pm we roll on as Joe Hurley and The Gents take the stage! Their set will include a performance of Hurley’s CD Let the Great World Spin, created with and inspired by Colum McCann’s National Book Award Winning novel. The Gents feature Tony Garnier (Bob Dylan Bandleader), Ken Margolis, Megan Gould, James Mastro, and special guest Flogging Molly’s Matt Hensley. The grand finale at 8pm will rock with a performance by Joe Hurley’s All-Star Irish Rock Revue! 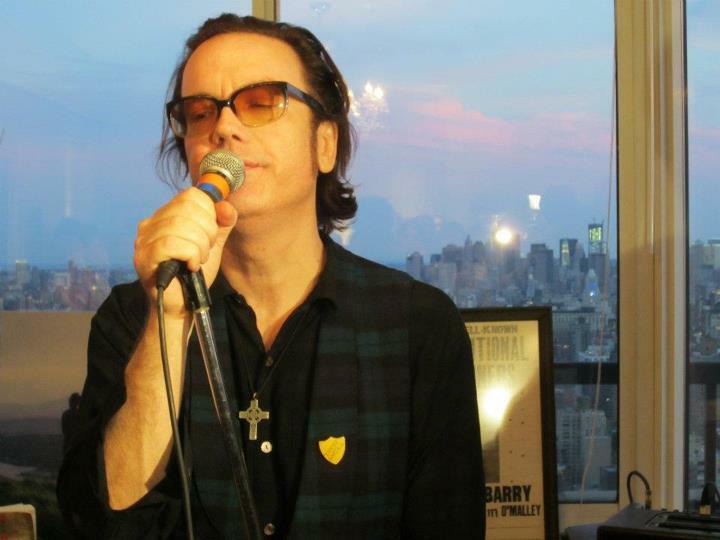 A Beloved NYC institution, The All Star Irish Rock Revue celebrates Ireland’s musical gifts to the world as guests dive into “The Great Irish Songbook,” performing the timeless classics of Thin Lizzy, U2, Van Morrison, The Undertones, Pogues, Elvis Costello, Stiff Little Fingers, John Lydon and more. Co-hosted by critically lauded performer Edward Rogers, early confirmations include fiery rocker Willie Nile, Tony-Winner Michael Cerveris (Evita), Ellen Foley, soul-legend Tami Lynn (Dr. John, The Rolling Stones) Rock and Roll Hall of Famer Dennis Dunaway (Alice Cooper Band), Film Star Antonique Smith (Notorious), The New York Dolls’ Sylvain Sylvain, UK’s Stephen Frost, Tish and Snooky, Mary Lee Kortes, Sam Bisbee and members of Flogging Molly, Rogue’s March, Lez Zeppelin, The Mekons, Cracker, The Ian Hunter Band and Blue Oyster Cult. Musical Director is Chris Flynn. Artistic Director for the OurLand celebration, Joe Hurley has sung and recorded with artists ranging from The Chieftains to Judy Collins and Shane Macgowan, Sam Shepard to Flogging Molly, Jimmy Webb to Maude Maggart. ALL EVENTS ARE FREE and take place on the Lincoln Center campus. Visit LCOutofDoors.org for a complete schedule of events or call 212-875-5766 to request a brochure.